Description : Want a great looking blog? Start with one of TypePad professional designs and customize it over time. You have complete control of your design. Want an active community of readers and commenters? 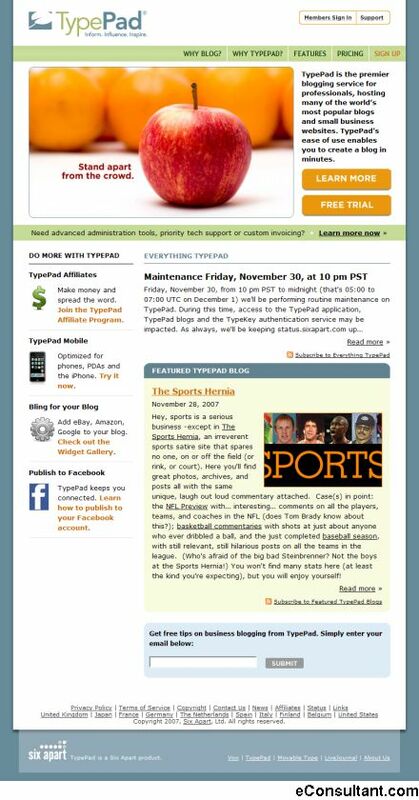 TypePad has the tools you need to manage the conversation.